A very young Cynthia Ann Parker moved from Illinois to Texas by wagon train with members of her family in 1832. They built a civilian stockade around their settlement, located approximately 40 miles east of present day Waco, which came to be known as Parker Fort. Their solidly constructed protective barricade was supposedly capable of keeping a large invading force at bay – if due vigilance was maintained. However, after many months passed without even the threat of an attack, the Parkers got lax with their security measures, often leaving the gates open for long periods of time. 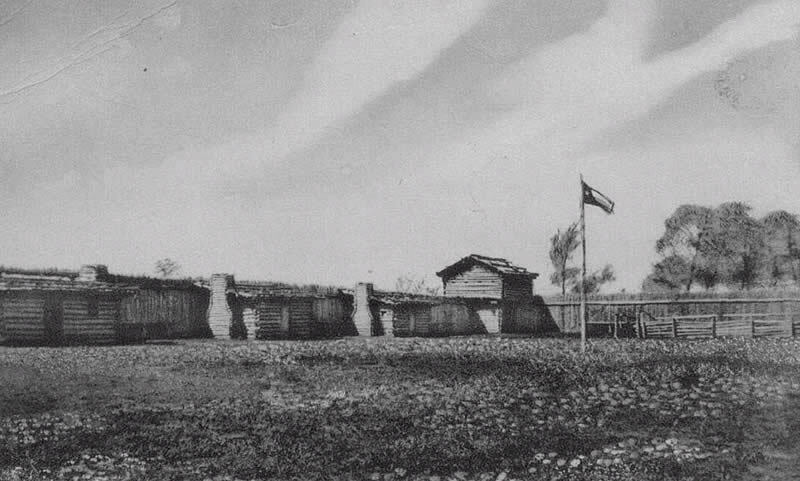 That’s when several hundred members of the Comanche, Kiowa, and Caddo tribes attacked the Parker Fort on May 19, 1836. A witness to the event, Rachel Plummer, stated, “one minute the fields were clear, and the next moment, more indians than I dreamed possible were in front of the fort.” After briefly speaking with Benjamin Parker in front of the gates (who had only gone out to try to give the others time to flee), the attackers massacred many they found in the fort and kidnapped others, including the 9 to 11 year old (records are conflicting on her birth date) Cynthia Ann Parker. Later, rumors swirled in the Anglo community about a blue-eyed woman who lived among the Indians as the wife of the Comanche warrior and chieftain Peta Nocona. The rumors were true; Cynthia Ann grew up to marry Nocona, and they had three children, two boys, Quanah and Pecos, and a daughter, Topsannah. Their marriage was apparently a good one as Nocona passed on the tribal custom of the chieftain taking several wives and, instead, married only one woman- Cynthia. At this point, the young woman had fully assimilated into tribal life and clearly considered herself Comanche. She even had mostly forgotten how to speak English. In December of 1860, Cynthia was discovered by a group of Texas Rangers led by Lawrence Sullivan Ross. 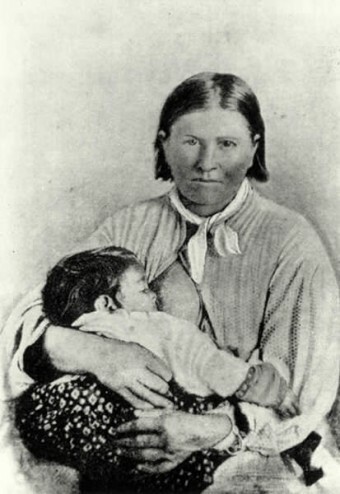 The facts surrounding the so-called rescue of Cynthia Ann Parker are disputed, as is the fate of her husband Peta Nocona. Texas Rangers led an attack on the Comanche tribe, but whether it was an offensive or defensive strike depends on the source. Whether or not Nocona survived the attack is also up for debate. Parker and Nocona’s oldest son, Quanah, later maintained his father lived for a few years after the battle. Whatever the case, upon being discovered by the Rangers, and after they confirmed her identity, for the second time in her life, Cynthia Ann was kidnapped (along with her daughter Topsannah). She was forcibly taken from the Comanche (and her sons) to be reunited with her relatives she hadn’t seen in about a quarter-century. Far from being the happy reunion they may have imagined after so many years, Cynthia pined for her husband (because of separation or death, it isn’t clear) and sons, and tried to run away several times with no success. To help her settle in her new life, the Texas legislature in 1861 gave her over 4,000 acres of land and $500 (about $13,000 today) doled out annually in $100 increments. It didn’t help. Depression set in, and when her daughter died of influenza in 1863, Parker lost her will to live and for a time stopped eating. She ultimately died seven years later of the flu in 1870, never able to reunite with her sons. Her greatest legacy was one of her sons with Nocona, Quanah Parker, who became the final great chief of the Comanches.